"Leave it if you don't need! Take it if you need! These words are painted on the brightly coloured wall of no less than the Collecterate in Tirunelveli in Tamil Nadu, India. 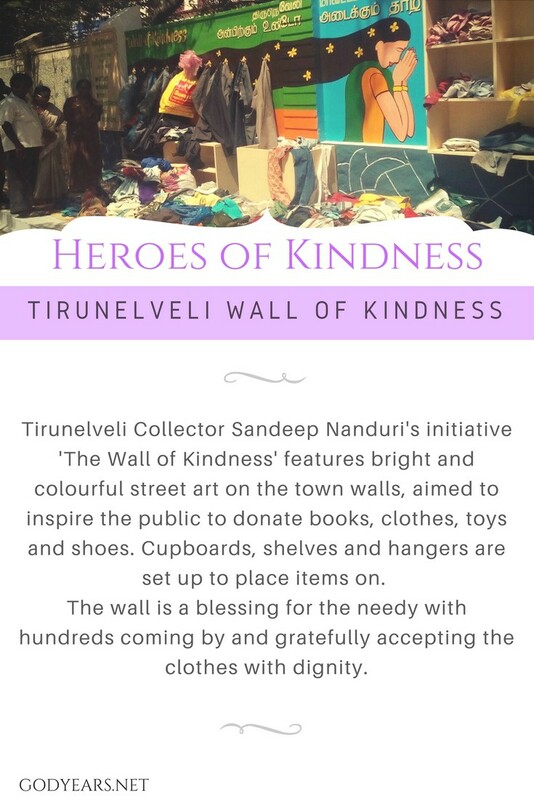 The Tirunelveli 'Wall of Kindness' is an initiative of Sandeep Nanduri, the Tiruneliveli Collector, who realized that the Collectorate was a place where lots of people come and so ideal to raise awareness as well as get help for the poor and needy. The vibrant art on the wall of this prominent government building is immediately eye-catching even from a distance but it is the added touches that complete the portrait of compassion. Shelves for books and toys are attached to the wall and cloth pegs hang from it, allowing people to deposit or browse through the items there in an orderly manner. The response to this initiative has been hugely positive with many coming forward to donate and many more gratefully accepting these items. The original concept of a 'Wall of Kindness' can be traced back to Iran in 2015 and has been replicated across many countries around the world since. 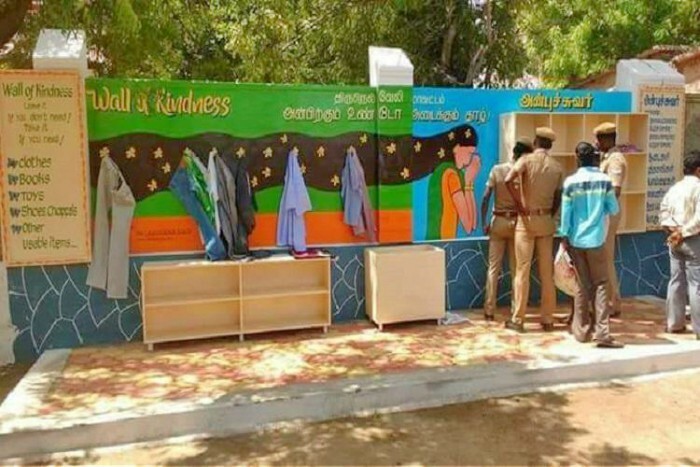 In India, similar concepts of walls of kindness have been started in Hyderabad, Jaipur, Chandigarh, Nagpur, Varanasi, Amritsar, Bhopal and Delhi. Think about it. What is really stopping us from having a 'Wall of Kindness' in every city and town in our country? Our cynicism about how our fellow countrymen will swindle the times we donate? When the concept of a Wall of Kindness is succeeding worldwide and even in various corners of India, what is stopping us? 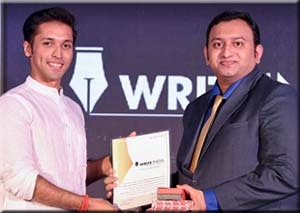 Despite having read every single post of yours, apologies for not commenting on each one. Some teared me up, some restored my faith in humanity and some proved that there might still be a possibility of leaving behind a world worth living for our future generation. Thank you for bringing out such stories that deserve to be told. Oh wow - this is amazing to know doc; would you know where in Delhi this is? I will ask around too as I want to donate there. 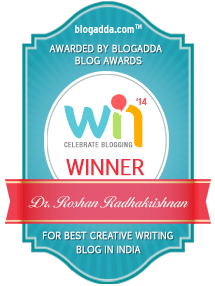 Okay, I need to get one started in Bangalore now. Let me see if I can use some contacts to go about this. Thank you for letting me know about this, Doc. My first comment on your post although late. 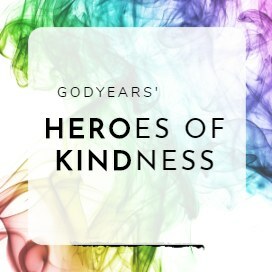 This is an amazing series on kindness that you are posting everyday. glad I had the chance to visit. will come back to read all your posts soon. We do have a drive here in Singapore, where all the usable items, good in condition are donated and collected and distributed to the needy local as well as overseas. schools call it as souls of kind deed. 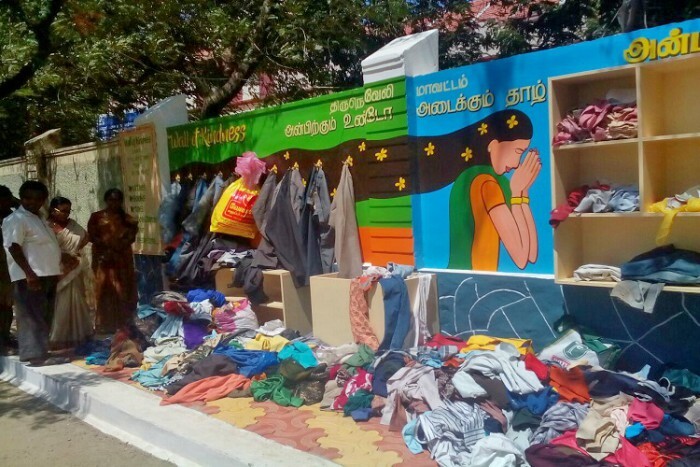 Every week, the salvation army comes to our neighborhood, leave us a plastic bag where in we can donate clothes, food which are dry like noodles, rice packets, bread, coffee powder and milo. textbooks are collected and uniforms too. now recently the pastry shops have come to an idea of distributing the remaining unsold buns and cakes at to children and adult homes islandwide. This is a brilliant idea of kindness.It's great to know about such idea. This is sooo amazing!! What a fabulous initiative. I think, this should be replicated everywhere. 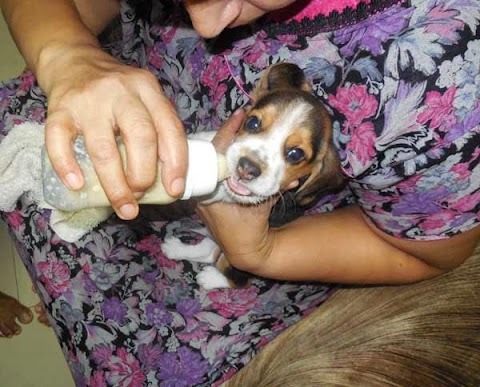 Can bring smiles and happiness in so many lives. How considerate and touching act of kindness. I have read about this earlier and must say its such an amazing way to touch the lives of the needy. Yes, why dont we have more such walls of kindness across the country. I wonder. I cannot see this happening in America. We are too greedy and money-conscious. Someone would take all and resell the items for a profit. So sad. It is a worthy project and I am glad the idea is spreading. Generosity begins at home.